Carmody McKnight Vineyards have been the subject of extensive university program research with Cal Poly University in San Luis Obispo due to the rarity of the soils derived from calcareous shale, limestone and igneous (volcanic) rocks as well as calcium montmorillonite ~ "the wonder soil." 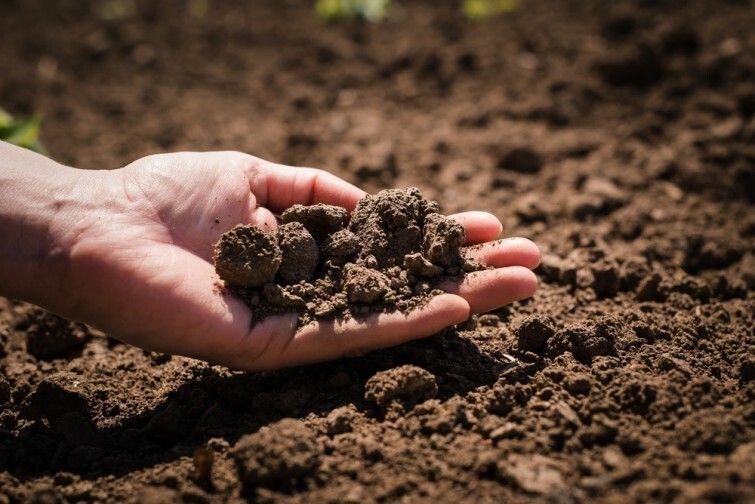 As this confluence of soil constituents are found nowhere else, the Carmody McKnight vineyards are particularly suitable for these innovative technological investigations and agricultural applications. For the first time, the centuries-long quest to understand “terroir” is at hand! The vineyards are the supreme example of sustainability in farming. Calcium montmorillonite has the unique property of extraordinary moisture retention ~ qualities contributing to supreme balance. Limestone and calcium montmorillonite are the two most important soil constituents in the renowned French vineyards ~ known to contribute to wine greatness, and without them — wine inferiority. Do they exist in California? Almost nowhere. Not in Napa, nor Sonoma. Not in Santa Barbara. Limestone and calcium montmorillonite exist in the Carmody McKnight vineyards — in abundance! It also has to be noted that in the Carmody McKnight vineyards there is a third component ~ backyard volcanoes, volcanic intrusion, magma, guaranteeing the most mineral abundant wine and the cleanest, purest varietal expression! Wonder soils seen nowhere else on the planet. The Discovery of a “Wonder Soil” incomparable for Growing Premium Wine Grapes. In the latest university studies centered on Carmody McKnight Estate Vineyards & Winery (a series of seminal research projects which Cal Poly State University, SLO, in conjunction with other institutions including John Deere & Co. and the SoilTopo, LLC, launched 17 years ago) a stunning discovery has occurred ~ the discovery of a new “wonder soil” found nowhere else on the planet. Over 25,000 USDA soil series reviews were conducted and not one single match was found. The soil is yet to be named, but it is indeed wondrous with attributes unparalleled for the highest quality wine grape growing. The discovery happened on long-studied, leading-edge vineyards located in the Paso Robles Appellation. The pioneering proprietors are Gary Conway, Marian McKnight, and Kathleen Conway. This “wonder soil” classifies into the “smectite” mineralogy class by the USDA soil taxonomy. The predominate clay particles are calcium montmorillonite. It is rare to find any similar soil, which is this shallow in relation to the weathered igneous (volcanic) bedrock. This revelation occurred during the most recent Cal Poly, SLO soil mapping project, conducted on Carmody McKnight Estate Vineyards & Winery and led by Thomas J. Rice, Ph.D., C.P.S.S. It ultimately required comparing this unique soil with over 25,000 USDA soil series worldwide and no comparable soil was found! 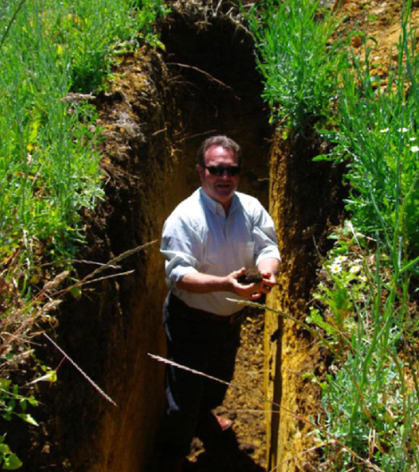 This “wonder soil” for wine grapes possesses an extraordinary balance of macronutrient (Ca, Mg, P, S, N and K) and micronutrient (Fe, Mn, Cu, etc.) contents. Significantly, the soil is notable for its extremely high cation exchange capacity (CEC), virtually a sponge for nutrients and water. The very high CEC results from the favorably elevated organic matter and smectite levels in this soil. The CEC complex in the soil retains a wide array of cationic nutrients (Ca, Mg, K, etc. ), which support healthy, nutrient-rich grapes producing the most flavorfully profound and complex wines, naturally derived. Stay tuned for upcoming announcements !